Just a couple of favourites this month, the first being my new knife. I've been using a knife set for the last 12 years that cost £5 at Ikea. You can imagine that it was not the most amazing quality and the knives were no longer anywhere near sharp. I finally bought myself a decent knife (a Hampton & Mason Sheffield utility knife) and am amazed at the difference a sharp knife makes! Totally love it and don't know why I didn't do it sooner. I think I'll buy the bigger chef's knife too. This knif is made of quality stainless steel so I can keep sharpening it too. 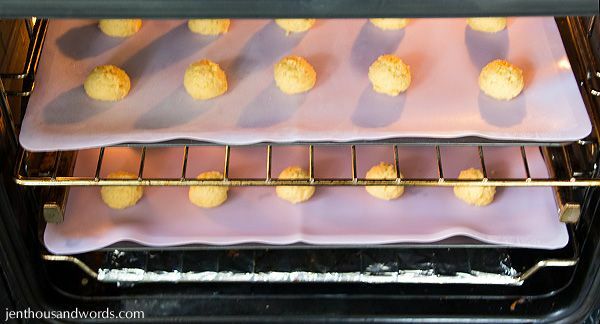 The only other stand-out favourites this month have been my silicone baking mats. I bought these for about $5 each from the dollar store because I was always using parchment paper on my baking sheets. I don't like wasting money on disposable things so thought I'd try a washable option. These mats are fantastic and totally non-stick - great for cookies or absolutely anything else you would normally put on a baking sheet! Best of all, they are amazing with fondant too and I only need the tiniest amount of cornstarch on them to keep the fondant from sticking to the sheets as I roll it out. This keeps my little fondant shapes cleaner and prevents the fondant from drying out as quickly while working with it.